Gwen Welch Slaff has held a passion and a commitment to emotional healing for over 30 years. An east coaster from New York and Boston seeking a more laid back lifestyle found a move to Oregon in 2007 to be just right. With an initial job as the Director of a Child and Family Therapy Program at a local Community Mental Health Center, Gwen directed a staff who provided services within offices and in the community for several years. Missing her prior work as a clinician in her own practice, Gwen opened Healing Haven where she has been providing services to individuals, couples, children, families and groups. Gwen then attended the Wellness Institute for two years in Issaquah Washington where she has been trained and certified as a Heart Centered Hypnotherapist. She now combines cognitive behavioral therapy with heart centered hypnotherapy when indicated and desired. She has found remarkable success with the issues that people bring to her. 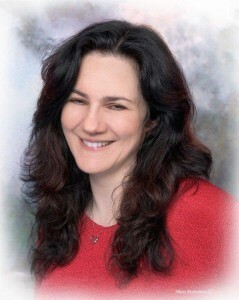 Gwen’s schedule is flexible and she does her best to meet clients scheduling needs. Insurance companies cover a portion of the cost determined by your plan. Gwen offers a sliding fee scale for those who are not using insurance.